Low pay, high academic debt and quality of life issues dissuade people from pursuing a career as an airline pilot, speakers said June 25 during a day-long conference organized by the Air Line Pilots Association (ALPA). Those factors contribute to a pilot shortage, although the extent of the shortage is disputed. ALPA claims that it has more than 700 members in North America who are currently on furlough from their airlines. The association contests that a widespread pilot shortage exists, characterizing the situation as a “pilot pay shortage” that prevents pilot candidates from entering the industry through regional airlines. Lacking career advancement, some working pilots depart for better-paying foreign airlines or other jobs. The average starting pay for a first officer at a regional airline is $23,000, according to ALPA. 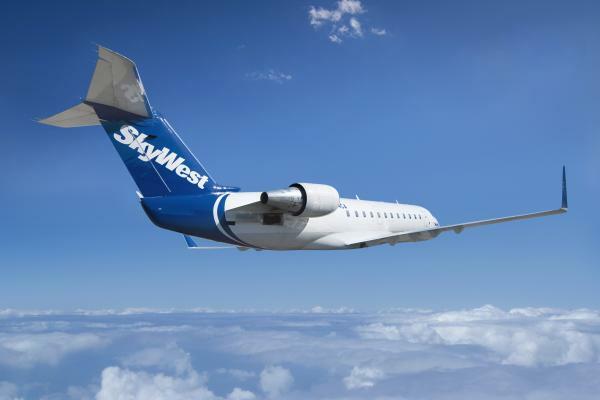 The five lowest-paying airlines—SkyWest, Mesa, Republic/Shuttle/Chautauqua, ExpressJet and GoJet—combined operate more than half of all regional flights each day, it says. Meanwhile, candidates entering the field by the academic route face excessive debt, having spent $150,000 to $200,000 for a university degree and flight training. Canoll offered that major airlines have reduced flights, not because of a pilot shortage but because of a focus on “capacity discipline…in an attempt to maximize profits.” He said industry opponents of strict new Federal Aviation Administration pilot training and qualification requirements have “fabricated” a shortage. The U.S. offers ample opportunity for aspiring pilots through universities, flight schools and the military, producing more pilots than the number of airline jobs available, he said. Alex Marren, chief operating officer of Atlanta-based ExpressJet Airlines, a SkyWest subsidiary, offered the regional airline perspective. ExpressJet operates a fleet of Bombardier CRJ 200/700/900 and Embraer 135/145 regional jets on scheduled flights as American Eagle, Delta Connection and United Express. The claim that the U.S. is producing more pilots than the number of airline jobs available is fantastic. Airlines are running out of pilots at the entry level, it has reached crisis level, there are obviously not enough new pilots available. Perhaps we are confused on semantics? Over 90% of new pilots trained in the U.S. are foreign students with commitments overseas - much better paying commitments. Less than 10% of our new pilots are actually available to U.S. airlines, and that number is dropping quickly. The numbers available to start at U.S. airlines are much too low to sustain the industry, while nearly half the airline pilots in the U.S. will have to retire in the next ten years. If we could somehow convince 100,000 young Americans to pursue the career, 10,000 might make it through training six years from now. That would not be nearly enough, or soon enough. The career is not attractive to young people, for a lot of reasons including pay. What to do about it? Likely we will see cheap MPL pilots; reduced pilots in cockpits with more automation and monitoring; another raise to retirement age; and more days on the road for existing pilots. All of these options are bad for a new pilot hoping for a better career than current pilots, and they are well aware of these possibilities. It will get even harder to convince young people to enter the profession when programs like DARPA's ALIAS program are working hard to eliminate them through automation. The sooner we allow fully automated aircraft the better. We already have it with DRVSM as it is illegal for pilots to fly the plane. Anyone starting a career as an airline pilot is sadly heading down the road to no where. There is no pilot shortage. I am the member of a 50 member flying club of Commercial and ATP pilots some even A&Ps as well, all who would certainly consider flying if the pay was above 120K, as I would. The only work will be in maintaining the aircraft and automated systems. I fly weekly on Delta and United aircraft and the only thing preventing full automation is public opinion. I ride the automated trains in the terminals, and I already know that the guys up front are not flying the plane anyways except for a few twists on the Flight Guidance Panel and AP engage. Sign me up for the first 121 Operator fully automated flight. One great concern all potential pilots face is the excessive cost of flight training charged by universities and specific flight training providers. The naïvety students who have no aviation experience (family members, friends, or a mentor) when researching flight training providers possess can result in selecting providers that have tuition, as this articles describes, "in the range of $150,000 to $200,000," necessitating massive loans if the student is unable to receive training without financing. Unfortunately, and sometimes predatorily, certain providers can, during the student's research phase of searching for a training provider, coerce the student into the assumption that training at an institution that does not grant a degree specifically in aviation will all but eliminate the student's chance of entering the career of Airline Pilot. There are a limited number of flight training providers that specialize in providing only flight training, and excel in providing high-quality training that surpasses that received from some of the more widely-known providers. Additionally, students can expect to spend four years or more working towards completing the training that will only prepare them as, perhaps, a Flight Instructor with approximately 250 hours. For those students that intend on entering the Airline environment, this can mean losing precious time flying minuscule hours each month while enrolled (consider 250 hours divided by 4 years, about 65 hours a year) just to be certified as an Instructor, to then have to continue working as an instructor until that magic ATP hour requirement is met. If the student is lucky enough to complete training and is hired as an instructor after graduation, they are then usually required to begin paying off that massive debt, while working in that not-so-glamorous job. Because of this customer-assumed mindset, may training providers, like the school I work at - Riverside Flight Center - miss out on training the next generation of Airline Pilots for the United States, simply because they do not offer a degree program. Of course there are many opinions as to whether a degree makes a pilot a better pilot, and I intend not to maintain a stance either way. It is a fact that many Airlines require a degree as a prerequisite to being hired, though there are Airlines with which this is not a prerequisite. What many of the more familiar training institutions do not tell their naïve potential customers is that those same airlines do not particularly give preference to where that degree comes from, if indeed one is required. The fact of the matter is simple: An education at Riverside Flight Center averages well less than $60,000, is completed in a fraction of the time (usually less than eight months), and better prepares the student for entering the Airline industry by providing superior training that is not, unfortunately, found regularly throughout the country (96% of RFC graduates pass certification tests on the first attempt, compared to the national average as reported by the FAA of about 78% in 2013, the latest year statistics are available). That same training prepares the individual as an instructor who can begin racking up those ATP hours and earning an income from flying much faster than at a four-year institution. Coupled with pursuing a degree at a local college or online while enrolled in flight training or after, while working as a Flight Instructor in the aviation field, these pilots are much less likely to exit the industry because of the daunting debt they face, and are ready to enter the workforce as an airline pilot on the order of about two years from the start of flight training, based on their experience, efficiency, and personal motivation. Compared to graduating a four-year school with about 250 hours, to then work as an instructor for perhaps another eighteen months to get to the ATP hour requirement, it seems a potential customer who has done their homework and is not wooed by the fancy paint jobs and high-tech environment those four-year schools can provide for the bargain price of $200,000, would choose training providers like Riverside Flight Center more often. Interestingly, the government-backed unlimited financing those four-year schools can offer to its students is unavailable at schools like Riverside Flight Center. Most definitely, the crux of this pilot shortage now makes a bit more sense.